If your monthly debt payments are higher than you can afford, a debt management plan could bring your finances back under control. How? Basically, your lenders might agree to change your repayment plan if they can see that this will help you repay your debts – even if it’s more slowly than they’d expected. One of the main things they could do is accept lower monthly payments. Our partners could negotiate with them on your behalf, asking them to accept reduced payments that reflect what you can realistically afford. As long as your lenders can see you’re doing your best to pay what you can, there’s a good chance they’ll agree to this – after all, you can’t pay what you don’t have, and a County Court usually won’t order you to pay more than you can genuinely afford. So how much should you offer your lenders? Bear in mind that they’re unlikely to agree to lower payments unless they can see you’re repaying as much as you can – and distributing it fairly among your unsecured lenders. Good debt consolidation companies will go through your finances with you, working out exactly what’s coming in to your household and what’s going out. They’ll propose a way of sharing out the difference (your ‘disposable income’) in a way that’s transparently fair to everyone involved. Then, they’ll get in touch with your lenders and negotiate on your behalf. And lower monthly payments aren’t the only thing. While it’s not guaranteed, your lenders may agree to reduce or freeze interest and waive other charges, giving you a much better chance of clearing your debts at an affordable pace. Lenders aren’t obliged to accept any changes to your repayment plan. That’s one reason many people choose to work with a professional debt management organisation, rather than negotiating with lenders on their own. 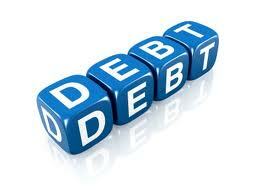 With many years’ experience working with borrowers and lenders, debt management organisations know how to negotiate. They know how debt works. They enjoy long-standing relationships with all the major lenders. In short, they could help you secure affordable repayment terms – by showing your lenders that it’s the best way forward for them as well. Of course, ‘defaulting’ on your original agreements will show up on your credit report, whether you’re working with debt management experts or tackling your debts on your own. And of course, repaying any debt more slowly will delay the day you’re debt free and can increase the overall amount you end up repaying, unless your interest is frozen. Debt management isn’t always the answer. Depending on your situation, other debt solutions might be a better way for you to regain control of your finances and start clearing your debts.